Once you are at the park: where to find race parking, registration, start, and finish locations (scroll down this page). Most recent detailed Logistics email sent to runners. Link to Map of Raven Rocks course. 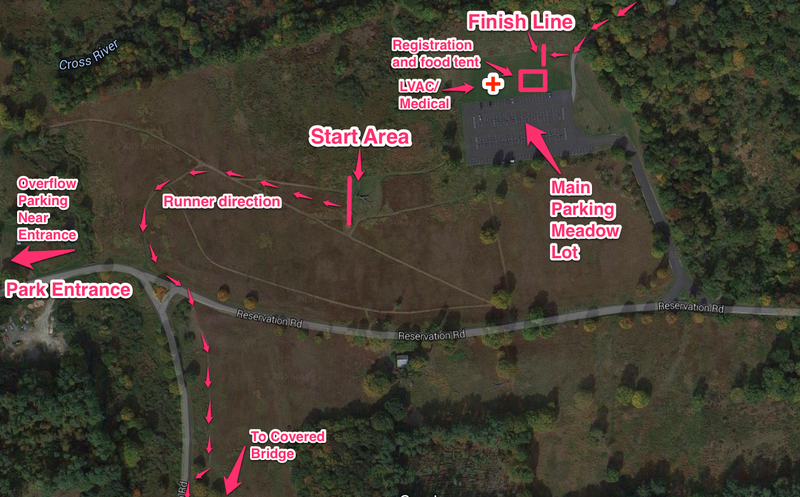 The GPS address to use for the park entrance is 4 Reservation Road, Cross River, NY 10518. • From the south/NYC: Saw Mill Parkway to end OR I-684 North to exit 6 (Rt. 35). Turn right onto 35 east. Go 3.8 miles to Rt. 121 south (right turn) in Cross River. Park entrance is first left on 121. • From the north: I-684 South to exit 6 (Rt. 35). Turn left onto 35 east. Go 3.8 miles to Rt. 121 south (right turn) in Cross River. Park entrance is first left on 121. 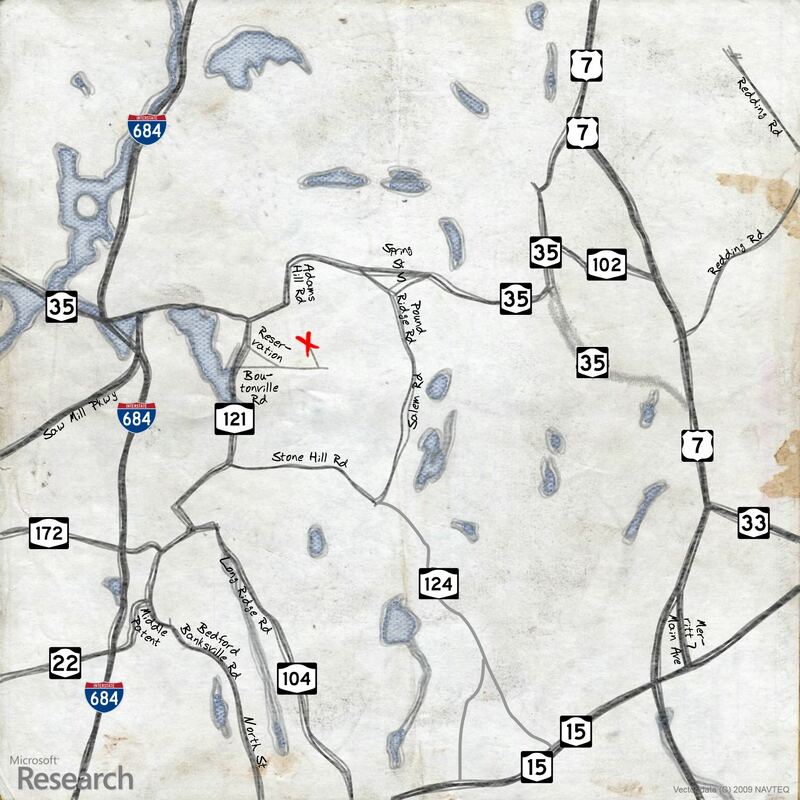 • From CT/Ridgefield/Danbury: Route 7 to Route 35 west. Proceed into NY on route 35 through South Salem to Cross River. Left turn onto Route 121 South. Park entrance is first left on 121. Race parking location, the Meadow Parking lot, is on the left hand side of Reservation Road, 0.5 miles from the Park admission booth.